Yet another way in which ERI can help your organization achieve high reliability and durability is through our expert consulting services. We offer consulting solutions in various technical areas. Seismic or “earthquake proofing” hardware into critical structures. Seismic shake tests. If you would like to hire an ERI specialist for a consulting job, send an e-mail to info@equipment-reliability.com or call (805) 456-4274. Conducted all modal testing done at this facility including Delta II second stage, Globalstar satellite, and International Space Station S0 Truss Segment. Developed all data analysis programs currently in use including integrated pyrotechnic shock analysis system. Published paper on the system. Consulted at Dassault Laboratory in France to verify French shock analysis practices. Consulted at NTS Laboratory in Valencia, California to develop techniques for strain gage data. Developed requirements for Segment Microgravity and Equipment Vibroacoustic criteria. Directed acoustic tests of major Space Station components in Space Station Engineering. Developed and presented a paper on techniques for Statistical Energy Analysis of aerospace truss structures. Conducted finite element analysis of large radar antennae. Incorporated digital vibration control system in dynamic laboratory systems. Beta tested I-deas data analysis system and incorporated it into laboratory operation. Developed methodology for base-forced modal testing and programs for data analysis and utilization. Presented a paper about base-forced test and analysis techniques. Conducted development and production vibration tests of communication satellite systems including Intlesat series and Pioneer-Venus. Designed and implemented a dual-head 10000 lb. Exciter system for subsystem testing. Conducted first industry Fast Fourier Transform based modal test. Conducted System acoustic and vibration test of Skylab satellite at NASA Houston vibroacoustic laboratory. Evaluated digital vibration control and analysis systems. Designed implementations of carbon composite design of aircraft tail structures. Developed digital random vibration analysis system. Conducted Saturn vibration tests including High Force Test of the Saturn IV-B stage at Thiokol Utah facility. Designed large vibration fixtures for the Saturn program. Presented papers regarding both the high-force test and vibration fixture design. Structure Design for AD, A2D, A3D, F3D, F4D, and F5D aircraft wing, fuselage and avionics installations. Dr. Dennis B. Nelson, instructor in “Advanced Concepts in Random Vibration and Shock Testing on Shakers” has over 33 years experience in the testing of engineering systems, principally in the areas of mechanical vibration and shock. He has been involved with laboratory and field-testing, as well as the design and development of weapons systems and components. He was instrumental in the pioneering development of digital computer control of random vibration testing and is a recognized authority in the area of waveform synthesis for shock testing on shakers. A. W. (Wes) Mayne III has worked in the area of high-intensity acoustic testing and test facility development for 25 years. Wes has worked on the development of many acoustic test facilities both inside the United States and in nine countries outside the U.S., covering India, Europe, the Pacific Rim, and South America. Most of the facilities have been large reverberant acoustic test chambers designed to test spacecraft. Wes has worked in all phases of acoustic facility development, including design, construction, and actual testing, and in capacities including overall management of turnkey projects. Wes has authored and co-authored papers on the subject of acoustic test facilities that have been well received. Wes is currently the Product Manager of Acoustic Test Systems at Data Physics Corporation in San Jose, CA. Wes’s typical projects are acoustic applications associated with satellite and external rocket launch environments, aircraft flight environments, and high power outdoor sound propagation systems. A 1990 graduate in Electronics and Communication Engineering from the University of Roorkee, India (now Indian Institute of Technology, Roorkee). Nearly all his working Industry experience from 1991 onwards has been in Vibration and Shock Testing (1990 – 1991 being Telecom Industry). He has spoken on these topics at Hero Honda-Dharuhera, Amphenol Connectors-Pune, CMTI-Bangalore, ICOMM-Hyderabad, Auto Clusters-Pune, Goodrich Aerospace, L&T, Appolo Computing, Jai Sales, Data Patterns, CECRI, CGCRI etc. Jariwala has participated in Vibration Test Control training at Spectral Dynamics, Inc. – USA at Minden, Nevada as well as at San Diego and San Jose, California and MIMO Club (Multiple Shaker Control) at Beijing (October 2007) conducted by MIMO experts of Spectral Dynamics. He has interacted with a number of vibration test equipment manufacturing firms in the USA and Europe. He has been on several technical visits to Israel, UK, Germany, Belgium, China, Russia and S. Korea. Jariwala is a graduate ‘Vibration and Shock Technologist’ from Equipment Reliability Institute, Santa Barbara, California, having studied with Wayne Tustin. In addition to his other work, Jariwala is the editor of Mr. Wayne’s Tustin’s latest book “A minimal mathematics Introduction to the Fundamentals of Random Vibration & Shock Testing, HALT, ESS & HASS also Measurements, Analysis and Calibration” ISBN: 0-9741466-0-9. Jariwala is now ‘Regional Manager – SE Asia’ for Spectral Dynamics, Inc. – USA and is located at Roorkee in Northern India. He coordinates sales (of Spectral Dynamics Shakers-Controllers-DAS-Modal Test Systems-PIND Testers etc.) and Installation and also imparts training in India and China. On behalf of Spectral Dynamics, he provides customer support to Russia, China, South Africa, South Korea and Israel. In February 2011, Jariwala co-taught (with Wayne Tustin) 3 days at Santa Barbara, California. He also offers consulting in the field of vibration testing and training courses to newcomers to this field. packaging, product design, supply chain logistics procurement, customer assurance and testing into a unified, teachable approach to (1.) gaining the lowest possible landed costs with (2.) the highest quality necessary. Introduced at several conferences as a particularly innovative thinker, Kevin prides himself on his ability to communicate with newcomers to packaging concerning the depth and breadth of packaging knowledge, supply chain logistics, material handling methodologies and dynamics testing. Ben M.L. Haest has over 25 years of experience in the field of test and measurement automation and vibration testing. His consulting firm focuses on training users of vibration test equipment, solving installation problems on site, developing and implementing vibration testing systems in combination with a functional test and/or a climatic chamber, project management and consulting for the purchase and the implementation of vibration test equipment. Mr. Haest has a wide technical and commercial experience in different fields of engineering. He gained his know-how and experience in the field of vibration testing since 1990 from LMS International and Data Physics Corp. For LMS Int’l he used to give several presentations and seminars on modal testing and analysis, and vibration testing. In 1996 he started up Data Physics Corp. in Germany, taking the responsibility for sales and support. His experience includes installations with electro-dynamic and hydraulic shakers. In 2002 he started his consulting firm QED (Quality Electronics Design). Since then he supported several companies to improve their test set-up, he designed a new concept for functional shock testing and he developed a training course for the users of vibration test equipment: technicians, engineers and lab managers. A special field of interest is the reliability testing of electrical contacts for the automotive industry (e.g. USCAR norm and advanced testing specifications). Boris has over 25 years of experience in various test fields. Prior to starting his consulting firm in 2008, Boris supervised testing activities at Siemens VDO Automotive in London, Ontario. In the past, he also managed qualification programs and import/export tests of non-destructive testing (NDT) equipment in the former USSR. Rick is a result oriented professional engineer with extensive experience as a technical manager, system architect, and an individual contributor. Turnkey real-time systems and process automation are specialties, including both hardware and software. Performed full range of responsibilities for validating CDMA base station design verification and reliability. Designed, constructed, staffed, and ran the Accelerated Life Test (ALT) lab, the Manufacturing Screening lab, and the Failure Analysis lab. Designed the liquid Nitrogen environmental chambers used in Ft. Worth. Assisted in the facility design and installation of liquid Nitrogen environmental chambers in Sao Paulo, Brazil, and Swindon, UK. Developed a new ALT process that cut test time from 36-48 days to 4 days total while simultaneously increasing potential design problem detection by 87%. This reduced testing time by a factor of 12, decreased ALT test cost by 75%, and reduced potential field returns resulting from undetected design issues by millions of dollars per year. Developed a new Manufacturing Screening process that does not require an ALT to define the limits. This screening process was responsible for dropping the hardware return rate of one product from 62% to less than 1%. Designed, wrote 90% of the code, and helped build the ALT lab automatic systems. This allowed the lab for the first time to run all 6 chambers unattended, 24 hours per day, 7 days per week, with only a day shift. The system was fail-safe. Conducted internal technical seminars and ALT technique training for engineers and technicians, in Ft. Worth, TX, Arlington Heights, IL, Sao Paulo, Brazil, and Swindon, UK. Presented technical papers yearly at the IEEE – AST annual meetings. Designed, troubleshot, and trained Chinese techs on network systems, hard drive RAID arrays, voice mail systems, and embedded computer systems for paging terminals. Designed an intelligent 8-drive SCSI RAID-1 hard drive array for voice mail systems that was used throughout China and has never had a field failure. Wrote the BIOS code in 80486 assembler and ANSI-C and was project manager for the outside hardware design of the embedded 80486 computer of the DCF terminal. Fully automated the manufacturing testing of the DCF product such that, although there was an internal 40% to 60% failure rate, there were no field or customer failures. Periodically went to Japan and China to troubleshoot and fix complex “insoluble” system problems, and to train local technicians on installation and trouble shooting techniques. Provided engineering services, program management, software, and turnkey custom systems to the oilfield industry, food industry, machine tools industry, recycling and scrap yard industries, and semiconductor fabrication industry. Mr. Shust is a PE, M.S.M.E. Mechanical Engineer and also President of Objective Engineers, Inc – responsible to provide competitive solutions in the engineering marketplace. Technically skilled in topics of mechanical design and integrity, including component design, endurance tests, noise and vibration problem solving, modal analysis, litigation support and finite element modeling. He is an author of more than 40 technical reports, papers, and magazine articles. Please check Bill’s most recent article at Sound & Vibration, Jan/02 issue: “Dynamic Data in the Time, Frequency and Amplitude Domains – As Viewed by the Mathematically Challenged”. Mr. Shust has worked for AAR (Association of American Railroads) as the Principal Engineer of the Transportation Technology Center in Colorado (1995-1999) and also as a Supervisor/Senior Test Engineer at the Instrumentation Section, at AAR’s Chicago Technical Center (1993-1995). His professional experience also includes 7 years as an Engineering Analyst for the company Navistar International Truck and Engine Corporation (Engineering and design group for heavy truck manufacturer) and 1 year as a Test Engineer for the company AEA O’ Donnell (Engineering services in mechanical design, analysis and testing). Harry L. Schwab has over thirty years of experience in engineering and consults in the fields of structural vibration and analysis. His experience includes many phases of structural analysis, test and specification development, testing, design, and management. His education includes a Bachelor’s Degree in Aerospace Engineering from the Georgia Institute of Technology, a Master’s Degree in Engineering Mechanics from the University of Missouri at Rolla, and an MBA. He is a registered Professional Engineer in Florida and Missouri and has written several technical papers in the fields of vibration testing and analysis as well as having developed and taught courses on structural analysis for engineers. Mr. Schwab has engineering experience in the aerospace, automotive, and commercial industries. The projects he has worked on include aircraft, guided missiles, tracked vehicles, trucks, cars, and heavy equipment. His expertise includes the development of a method for creating random vibration laboratory test environments from non-stationary data. The procedure results in the application of several different spectra per axis with an overall test time greatly reduced from the “real world” environment, while accurately duplicating and not exceeding the “real world” environment. Harry Schwab has also developed many environmental requirements: specifications for hardware supplied by vendors; Environmental Stress Screening; and laboratory vibration environments for meeting customers’ requirements. He has conducted lifetime durability and modal analysis tests on electronics, Electro-optics, automotive components, and guided missiles. His experience and capabilities assist him in developing creative, low cost, solutions to engineering problems. Currently President of TetraTek Products, Inc. for the last ten years. Previously Director of Engineering at Ransco Industries, Chief Engineer of Bemco, Inc., Senior Project Engineer at Conrad/Missimer Division of Gulf and Western and Project Engineer at Missimers,Inc. TetraTek specializes in the engineering, design, and manufacture of environmental test chambers, processing equipment, system test facilities, tooling, test fixtures, electronic burn-in and reliability systems, servo and stepper motor driven machines, pneumatic and hydraulic motion packages, process control consoles, PC and PLC based systems and software, high vacuum vessels and equipment, intricate machined mechanisms, walk-in rooms and insulated structures, mechanical and cryogenic refrigeration, product handling and positioning equipment, heat exchangers and pressure vessels, fluid, air and gas circulating systems, data communications and networks, human machine interfaces (HMI) and software, mainframe database format and translation. Gene Bliley is president of Bliley Consulting LLC. His engineering firm provides ESD consulting, on-site audits, and ESD training. Training classes are designed to give students a through understanding of electrostatic discharge and how the various control measures can mitigate damage to sensitive products. Please follow link to view course outline. As the ESD program manager at the Lucent Technologies wireless manufacturing facility in Columbus, Ohio, he held many responsible positions on the Lucent Technologies Bell Laboratories ESD Leadership team. Gene is an active member of the Electrostatic Discharge Association and has completed the ESD Association course for Electrostatic Discharge Program Development and Assessment based on ANSI/ESD S20.20-1999. Mr. Bliley is a frequent contributing editor to Evaluation Engineering Magazine. His articles: Solving the Wristband Snap Release Problem and Testing Cloth Wristband Cuff Integrity have provided corporations with valuable insight into issues often overlooked and worse, not even realized, concerning two widespread industry problems that can impact product quality. Mr. Paul E. Feuerstein entered the engineering field with a BSCE from Indiana Institute of Technology, Fort Wayne, Indiana, 1958. His vibration experience began in 1963, in the stone crushing aggregate equipment world of support structures, for crushers, screens, etc. His interest in vibrations drove him to begin independent vibration studies. He earned his Professional Engineer License, Wisconsin, in 1965. The Milwaukee School of Engineering (MSOE) presented him with a faculty appointment in 1973. There he taught structural engineering and materials courses plus dynamics etc. for 27 years. He began structural consulting in 1976. While pursuing his teaching appointment, he continued studying Soil and Foundation Dynamics and Structural Dynamics. These efforts resulted in a Master of Engineering (ME) degree from the University Wisconsin-Milwaukee in 1982. Paul founded Feuerstein Engineering in 1985 while he was consulting within the aggregate industry. He relishes consulting assignments in design and loves to investigate unique, bizarre static and dynamic structural systems. Paul received the 1988 Outstanding Professional Engineer in Education Award from the Wisconsin Society of Professional Engineers. For the last 18 years doing extensive HALT/HASS testing to improve the product reliability on products from both in-house and external customers of two different companies. Performed over 400 individual HALT tests on over 70 different types of equipment including: power supplies, card sets, individual cards, cameras, motors, displays, robotics, control consoles, disc drive electronics, tape drives, tape storage libraries, telecommunications, military/commercial avionic systems, industrial components, printers and medical equipment. Designed and developed pneumatic vibration systems for three different companies. Extensive experience in designing and developing test fixturing for pneumatic vibration Tables. Presented HALT/HASS tutorials and seminars at the last 8 IEEE Accelerated Stress Test conferences. Implemented manufacturing HASS processes on eight different product lines and provided HALT and HASS training to four in-house facilities and two suppliers. Has two patents and one pending on pneumatic vibration system components. Has given HALT/HASS seminars and training to internal company departments, customers and test labs. Steve Brenner has been working in the field of environmental simulation and reliability testing for over 30 years. Commencing about 14 years ago, he became an independent consultant, and is one of ERI’s most sought-after teachers of short courses. His “hot subject” right now is MIL-STD-810G. Beginning in the late sixties with reliability and design verification testing on the Lunar Module, the Space Shuttle in the eighties, to semiconductor manufacturing equipment in the nineties, Mr. Brenner has always been involved with the latest techniques for verifying equipment integrity through testing. Mr. Brenner began his career as an Environmental test engineer with Grumman Aerospace Corporation in New York, worked as design verification and reliability engineer for the Air Force, an Environmental Test Engineer for Lockheed Missiles and Space company, and spent 18 years with Kaiser Electronics in San Jose, where he managed the Environmental Test Lab and was involved with the design of hardware intended for severe environments. 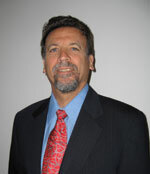 Mr. Brenner has been working as a consultant in the reliability testing field since 1996. His client base includes American and European companies with products: Telecommunications Automated test equipment Airborne displays Network equipment Medical equipment Semiconductor manufacturing equipment Automation Aircraft instrumentation Workstations Ruggedized commercial electronic products (COTS) Fiber Optics components and systems Theme Park Rides Mr. Brenner’s experience includes the entire range of climatic and dynamic testing, including HALT, HASS and long term reliability testing. He teaches several ERI courses each year, USA and abroad. In 2006 he and Wayne Tustin co-authored “Where to place the vibration test control accelerometer?”, which is available upon request. Jim received his BS and Master’s Degrees in Mechanical Engineering from N.C. State University in 1973 and 1974, respectively. Jim has 35 years mechanical engineering experience including 32 years in Vibration Diagnostics; 28 years in setting up and implementing Conditioning Monitoring Programs, and 12 years experience in stress and fatigue analysis of machine and structural components. Jim is the President of Technical Associates of Charlotte, P.C. Jim has published several articles in journals such as Sound and Vibration and P/PM Technology magazines. He has given presenta­tions to several engineering societies including the Vibration Institute, American Society of Mechanical Engineers (ASME), Acousti­cal Society of America (ASA), Electric Power Research Institute (EPRI) and the Predictive Maintenance Technology National Conference (through P/PM Technology). Jim has performed vibration analysis on machines, frames and foundations using a wide variety of single and multichannel spectrum analyzers, programmable data collec­tors, tape recorders, etc. Vibration Diagnostic Evaluations including multichannel Modal and ODS Analyses and other advanced vibration evaluation tools have been performed by Jim on a wide variety of machines and support structures including centrifugal air compres­sors, rotary screw compressors, machine tools, paper machines, boiler ID and FD fans, circulating fans, pumps, rolling mills, draw texturing machines, winders, extruders, steam turbines, vertical pumps, cooling towers, refrigeration chillers, vacuum pumps and various types of single stage and multistage gearboxes. Operating speeds on these machines have ranged from as low as 1.5 RPM up to as high as 150,000 RPM. Jim has now authored 6 Seminar Texts entitled “Entry Level Vibration Analysis”, “Analysis I”, “Analysis II”, “Analysis III”, “Advanced Vibration Analysis” and “Applied Modal & ODS Analysis”. Each of these textbooks comply with requirements of the ISO 18436-2 document. All seminar texts emphasize use of vibration signature analysis, high frequency enveloping (HFE), stress wave analysis and related Condition Monitoring technologies. These seminars are offered by Technical Associates at various locations in the United States, Europe, Asia, Australia, South Africa, Canada, Mexico, South America and in Central America. These multilevel seminars are given throughout the year by Jim as well as other qualified Analytical Group personnel that now has 10 specialists within the group; with 7 serving as Instructors and Analysts. Jim now has 21 years experience serving as an Instructor in Vibration Analysis. Jim is also noted for development of the renowned “Illustrated Vibration Diagnostics Chart” that has been acquired by Vibration and Condition Monitoring engineers and technicians in 64 countries to date.